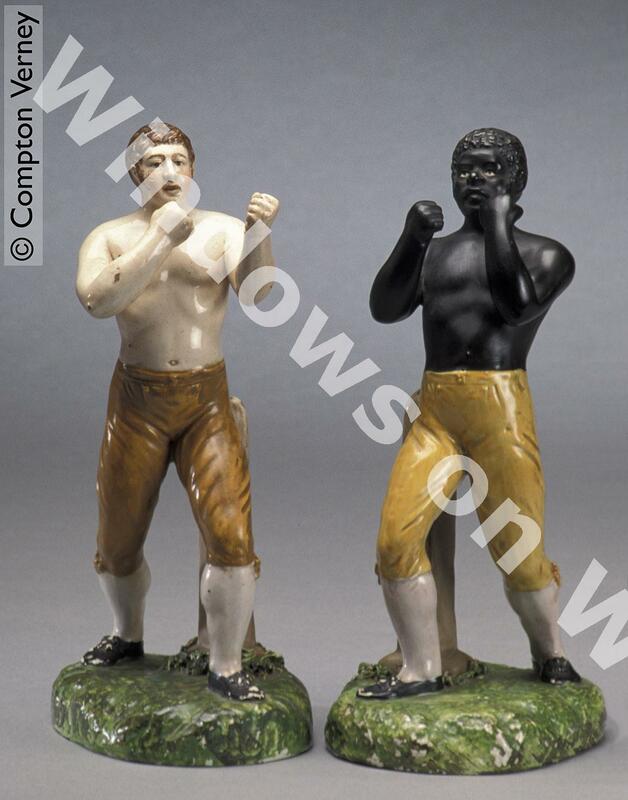 Description:These are two glazed Staffordshire pottery figurines representing Thomas Cribb, boxing champion of England in the early 19th century, and Thomas Molineaux, who famously fought each other on 28 September 1811. The fight went to eleven rounds. Cribb won, and Molineaux ended the fight with a broken jaw. 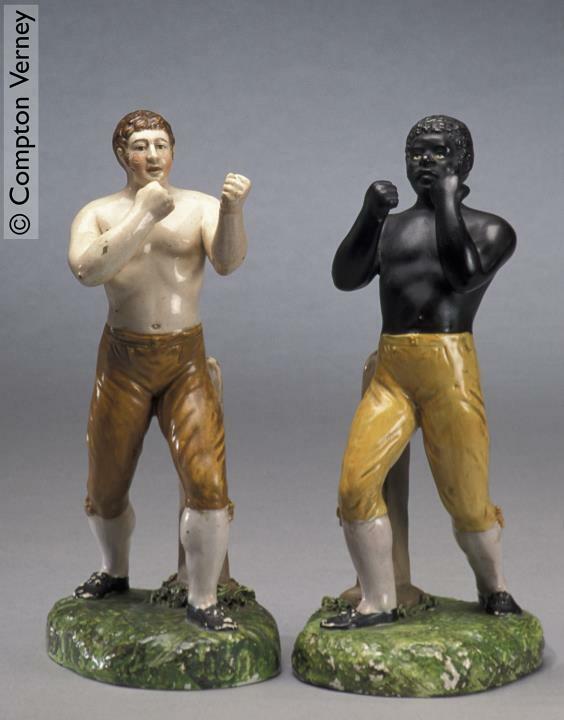 The figurines come from Staffordshire and date from the early 19th century. The timeline shows resources around this location over a number of years.